Many thanks to all of our service people all over the world who continue to keep the peace, or try to. This is so true... people forget sometimes. We are truly grateful and will not forget!! As an "Air Force brat" I grew up with strong feelings about patriotism, serving our country and appreciating our freedom....it's a permanent part of my heart. Here's to those who have served or are serving - men, women and animals as well. We remember our heroes each and every day. What Brian said. Everyday, not just Memorial Day. Thanks, Cody and your furmily for reminding us what this day is really all about. We tend to take such things for granted but it is not at all like that. It should be a solemn day. 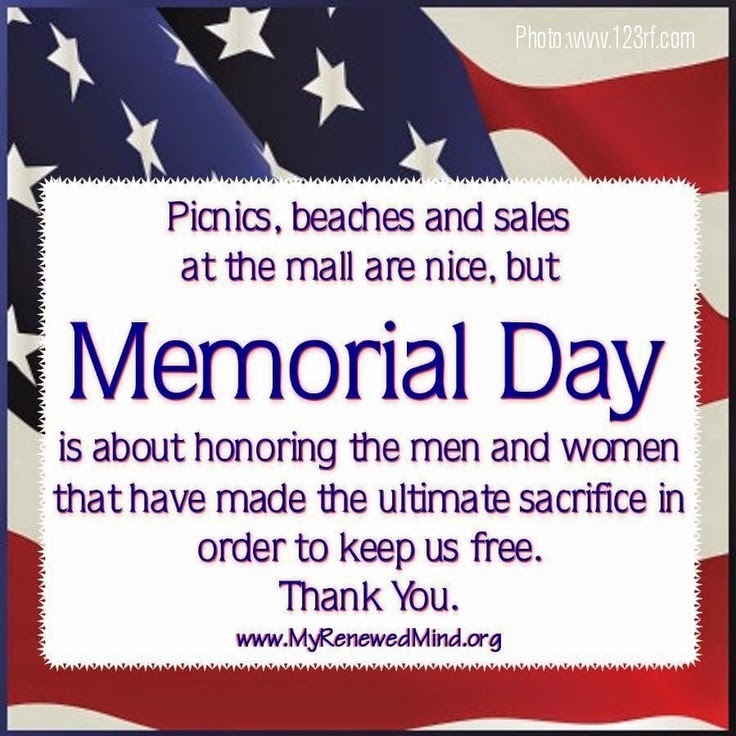 Our unfurbros used to participate in the Memorial Day services at the military cemeteries around here...and they helped put flags on graves, too. Yup. We don't do much, but we do make sure our flag is out for the weekend and we take time to remember what the day is about. We live in the land of the free...because of the brave. Hope you’re staying cool and enjoying your Memorial Day. We remembered and are grateful to all those brave men and women. Wuv dis and you are so right it is about remembering. Absolutely a wonderful post we are thankful for each and every one too. I was so happy to see a darling news piece on TV last night. It was about a local 5 year old and how much her parents are teaching her to love and respects the flag and what it means. No matter where she is when she sees a flag she recites the Pledge of Allegiance. that is the sweetest story ever and I thank you so much for sharing! We're so lucky to be living in a country with hard-earned freedoms! So many people take it for granted! Beautiful images! 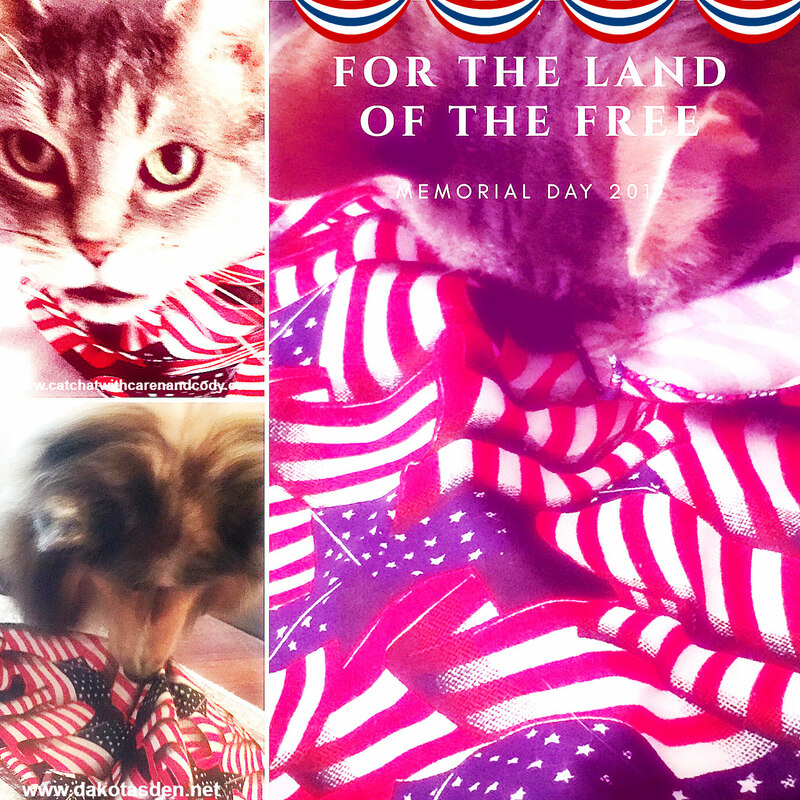 We hope you had a purrfect Memorial Day together. Sorry we're late! Yes, it's true ... we should all remember the real reason for Memorial Day. Some gave all for all of us.